Quick Definition: Frictional unemployment is the unemployment created with the movement between jobs in a dynamic economy. Unemployment is a situation in an economy where there are people who are willing and able to work but do not have a job. 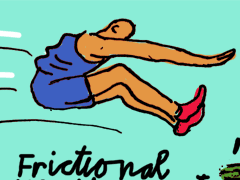 There are many different types of unemployment and one of them is called frictional. Frictional unemployment is the unemployment that occurs when people are moving between jobs. When people find new work opportunities in different areas of the economy, they may want to change jobs. There will always be a gap between the person leaving their old job and taking up the new one. During this gap these people will not be in work, so they will be unemployed. For example, let’s take a shop assistant called Sam. Sam is tired of being a shop assistant and wants to find another job. When he sees an opportunity being advertised in his local post office, he decides to leave his job as a shop assistant and apply for the new position in the post office. The time it takes between leaving his old job and starting the new one, Sam will be frictionally unemployed.